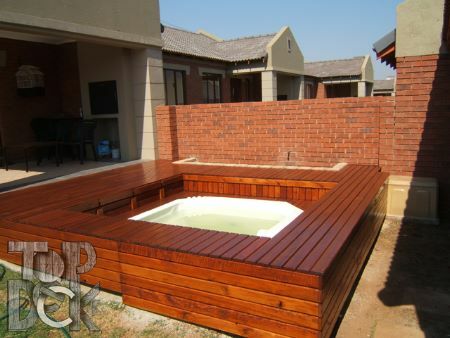 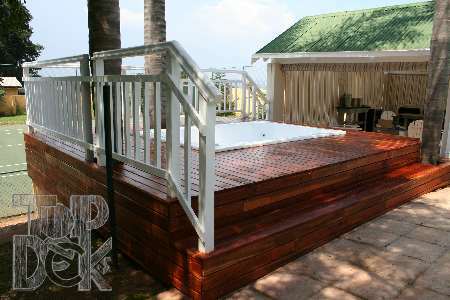 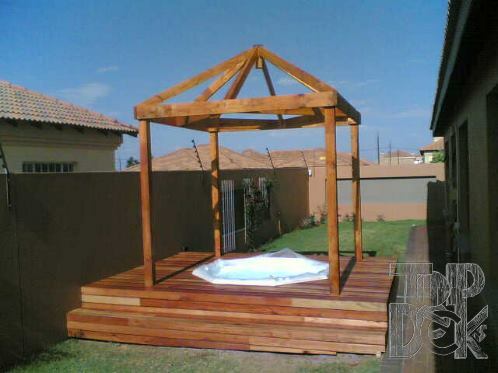 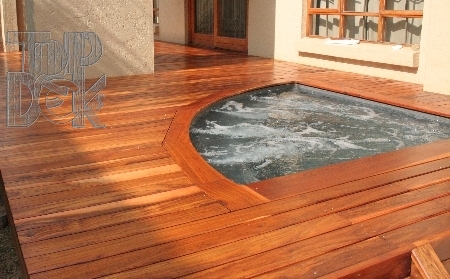 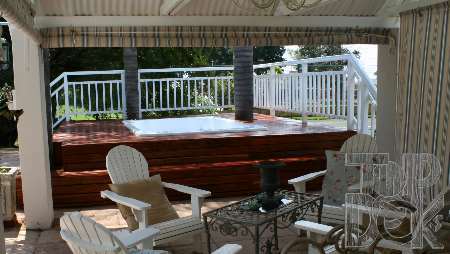 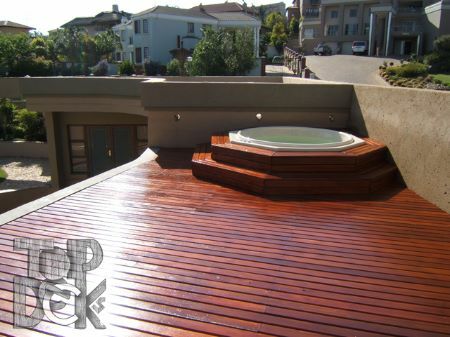 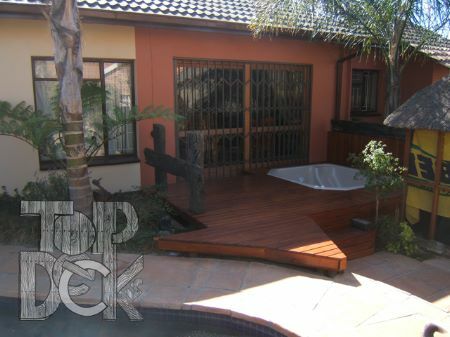 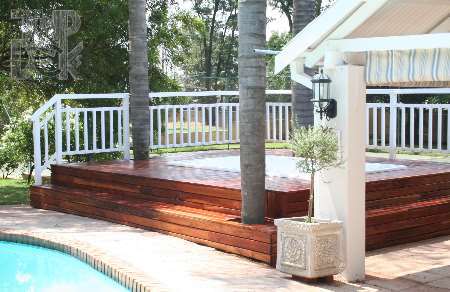 Wooden decks are ideal for Jacuzzis, hot tubs, saunas, and spas. 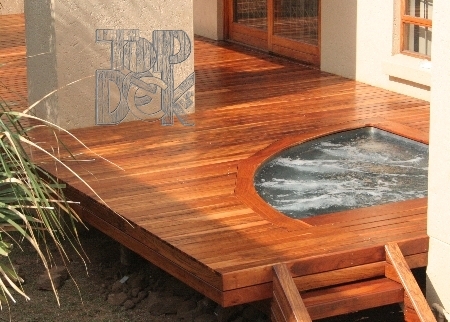 Not only are they naturally beautiful, built-in steps and seating add function to the already gorgeous form. 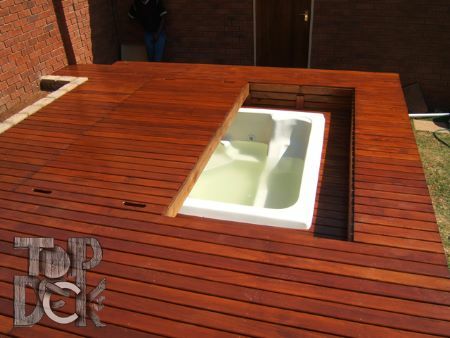 In addition to the decking, consider a rigid, matching spa cover to protect your Jacuzzi when not in use as well as to change the entire look of the space once covered.